Who knew things would turn out this way? Not me for sure! 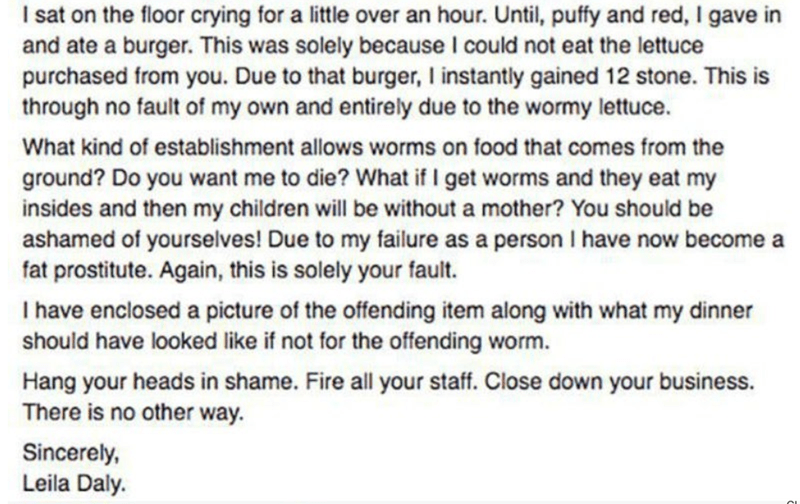 Because you might think that after a person finds a worm in their salad, they will be angry and demand a refund but rather than doing just that, this woman decided to adopt the worm. 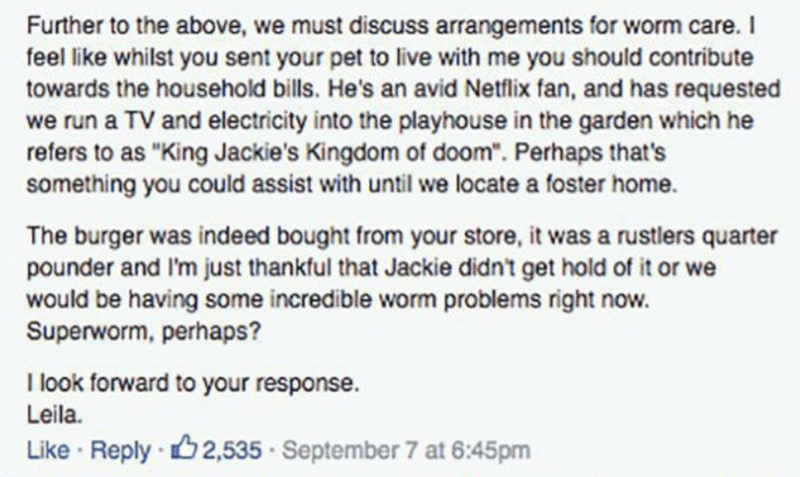 No, I am not making this up because this woman now indeed has a pet worm which the neighbour dog hates, but you can’t please everyone right? 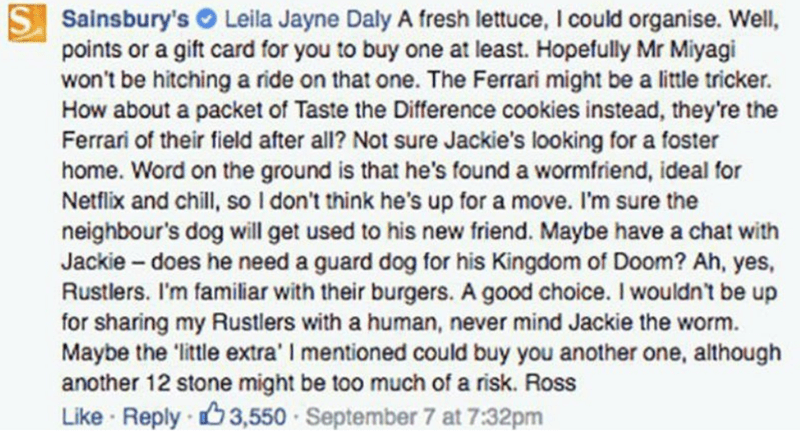 You see it all started when she bought a salad rather than a burger but found that a worm was munching on the lettuce, so she ate a burger and lo and beheld, she gained about 12 stones instantly. Following is how she dealt with it all. 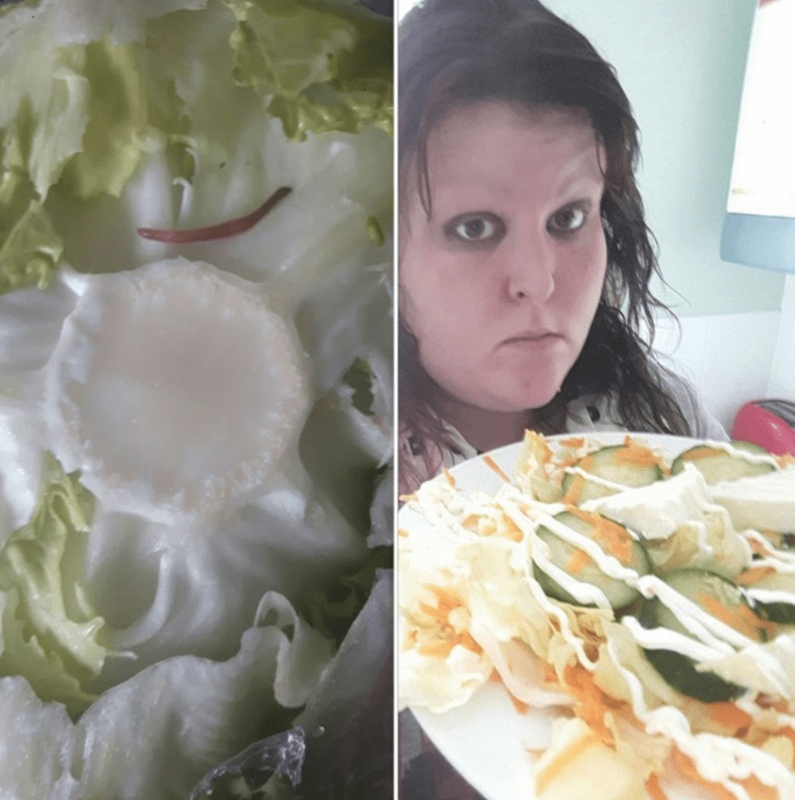 She even attached a picture of the salad. A worm just about ruined her life. 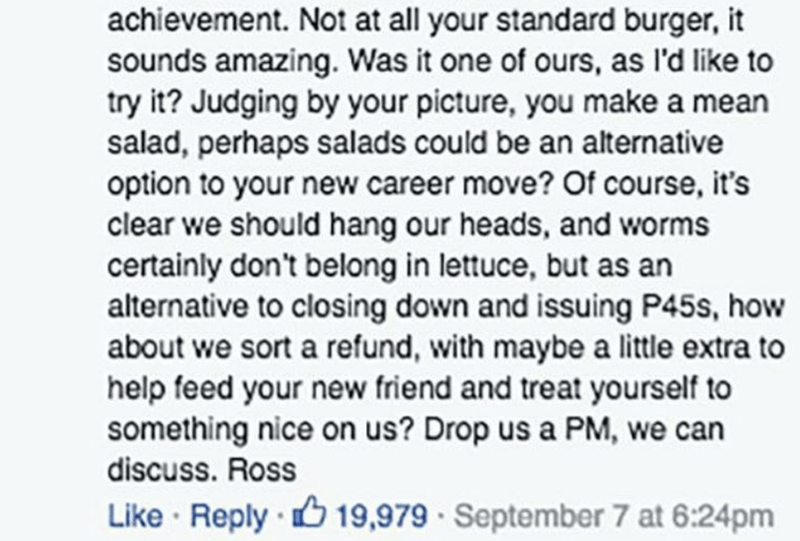 That must have been one good burger to warrant a 12 stone increase in your weight. 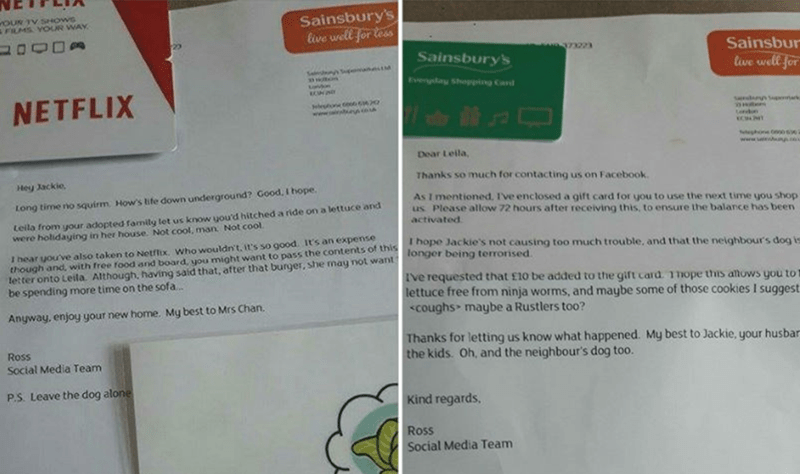 To make this post even more hilarious, Sainsbury’s responded to her initial post. And things just escalated from there. Of course! That worm needs the best of care. Does seem like a big risk. Great! Everyone is getting what they want except a Ferrari. 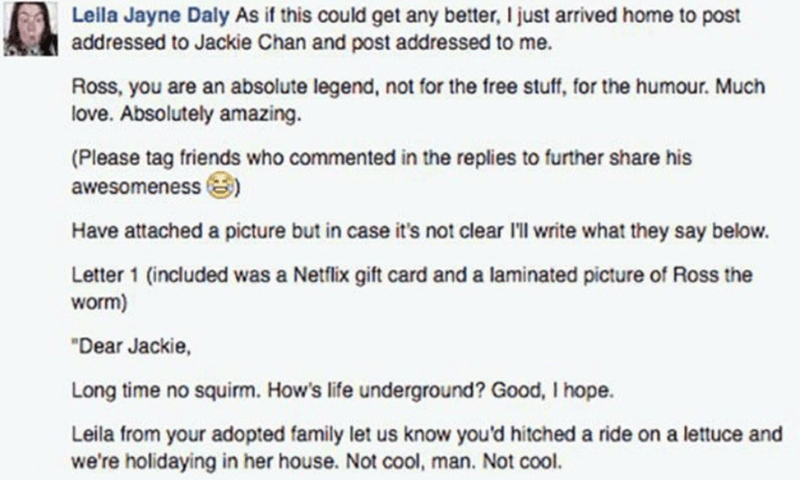 Custody battles really do drain your pocket. 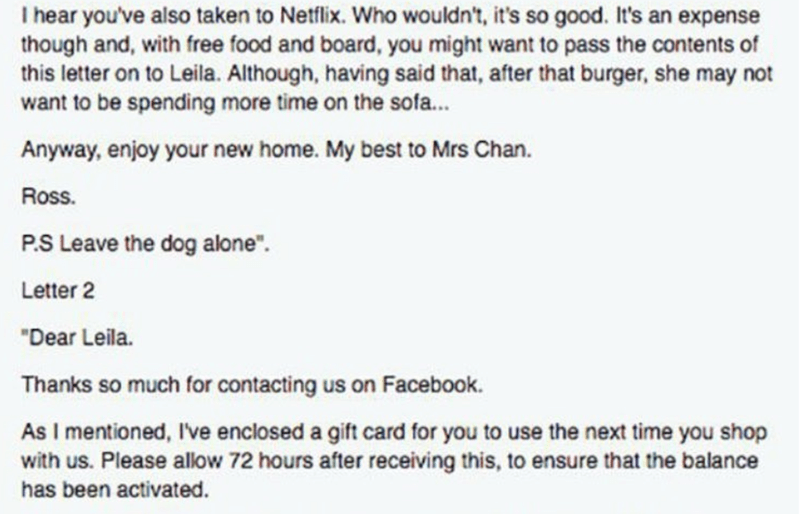 And it’s safe to say that they kept their end of the bargain. 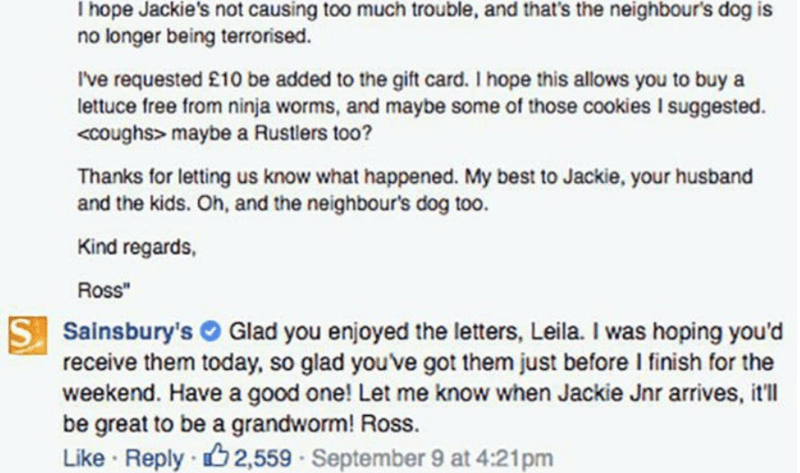 Sainsbury’s even sent a hilarious letter to both the worm and the lady. Following is what they wrote in the letter. Well, at least the letters were enjoyable. 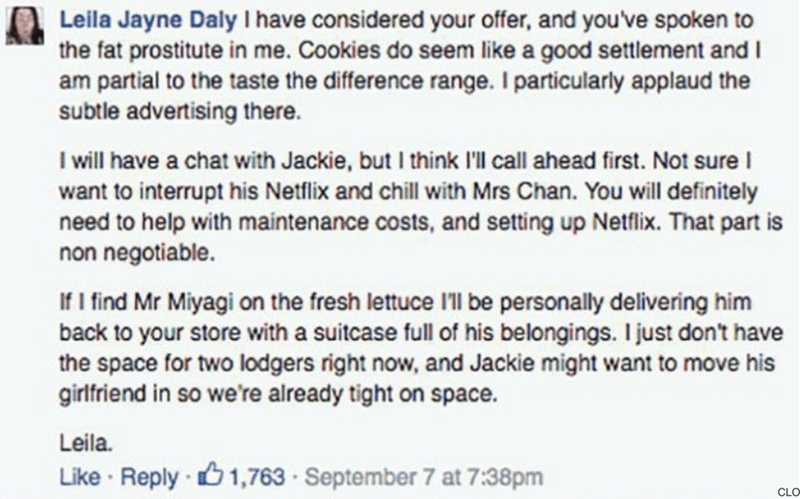 What are your thoughts on this hilarious exchange? Do you think the worm needs to be adopted by someone else? Comment down below and let us know.